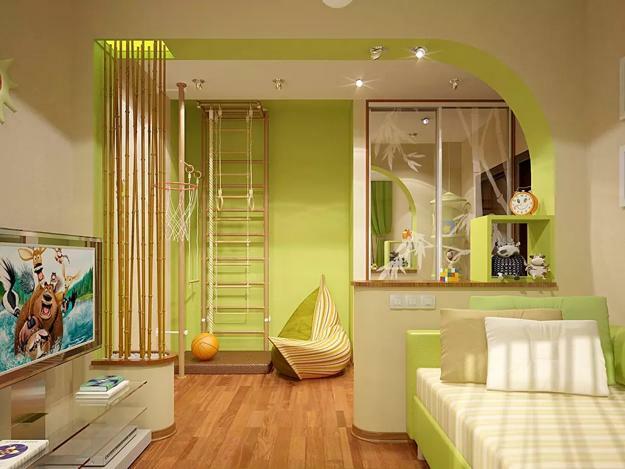 A gym corner in your kid’s room encourages a healthy lifestyle and adds fun to the room design. 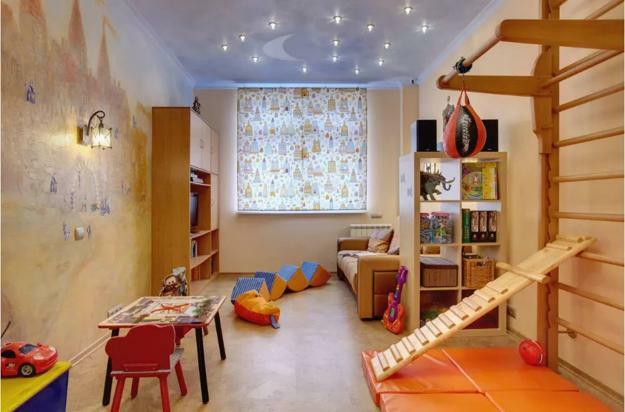 Home gym design for your children is a way to create an exciting environment with a serious purpose. 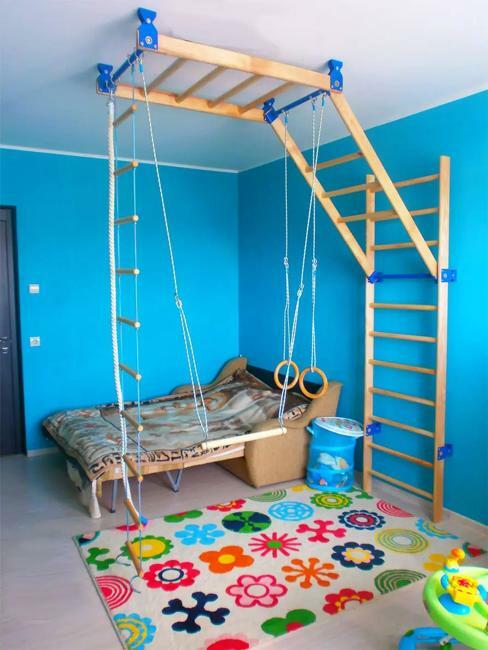 Physical activity is a conduit for nurturing your child. 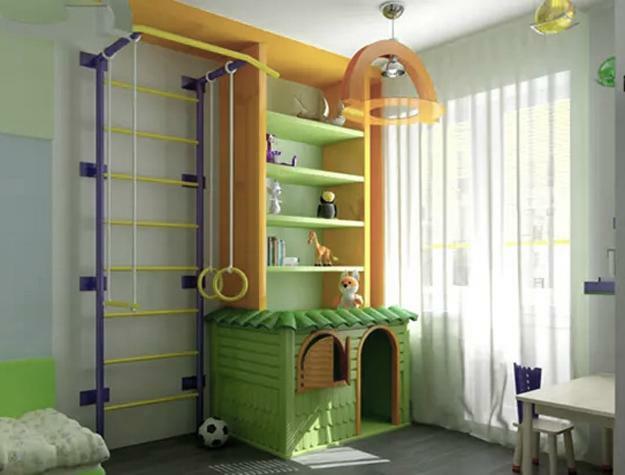 A gym corner is a fabulous way to help kids develop skills and strength while enjoying their rooms. 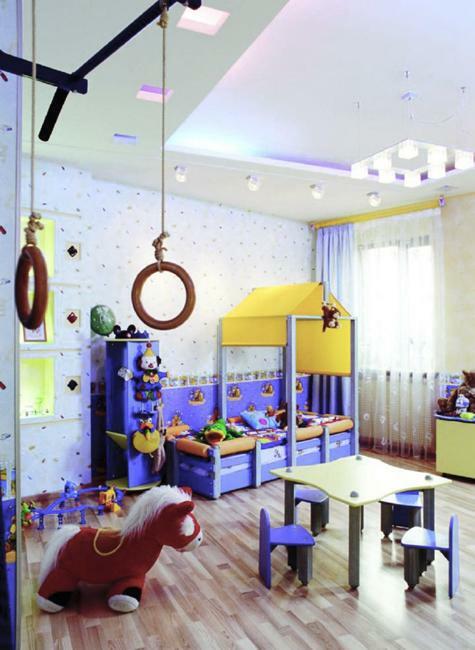 Creative gym designs help children learn better and grow into well-rounded, well-adjusted, happy kids. 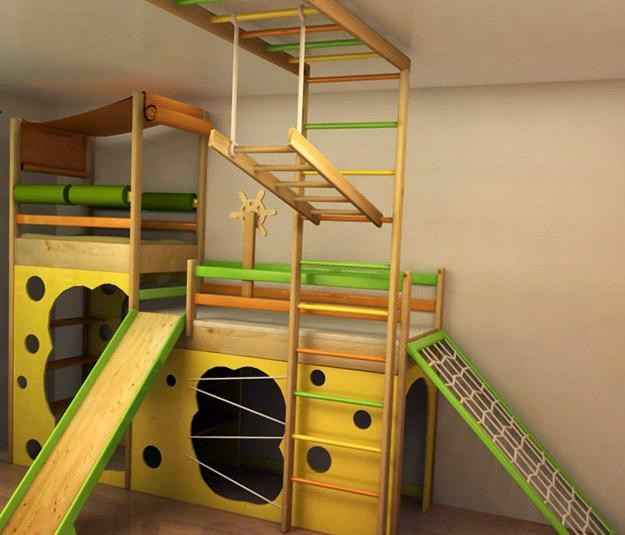 Have a look at beautiful and functional kids gym design ideas. 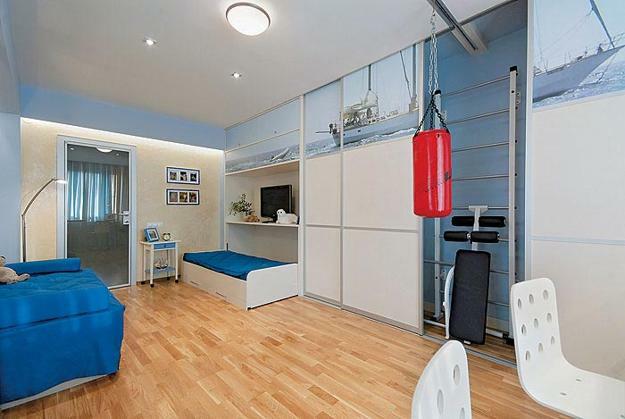 If you have extra space in your home, add a gym to your children bedroom. 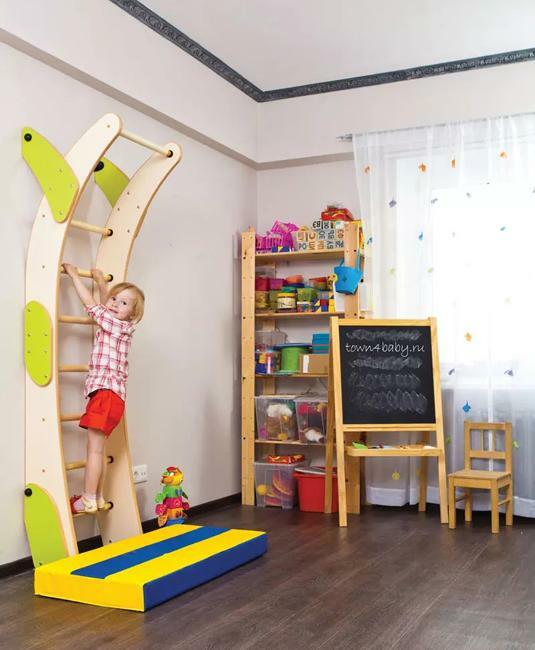 If there is no space, gymnastic rings, a horizontal bar or a trampoline in your yard can do the job of keeping children active. 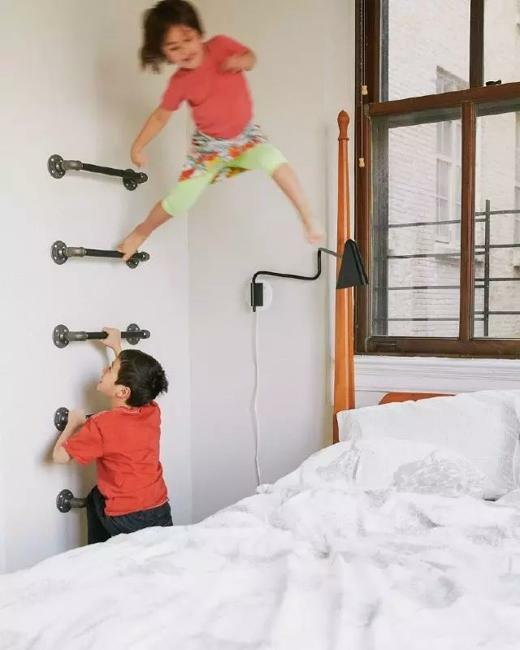 Swedish wall bars are the greatest invention which kids and adults like to use. 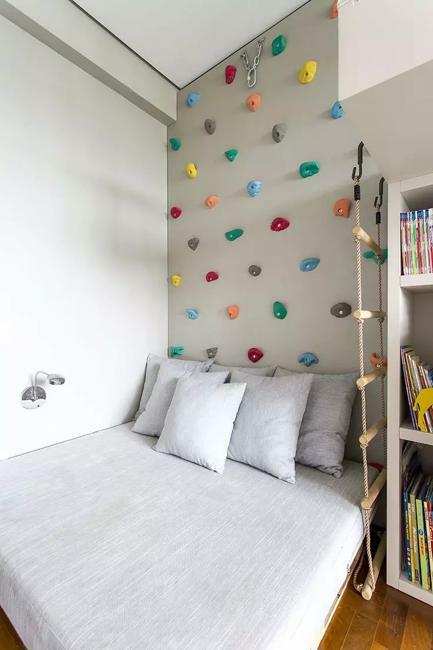 A climbing rope or rocks on walls make kids rooms look adventurous and attractive. 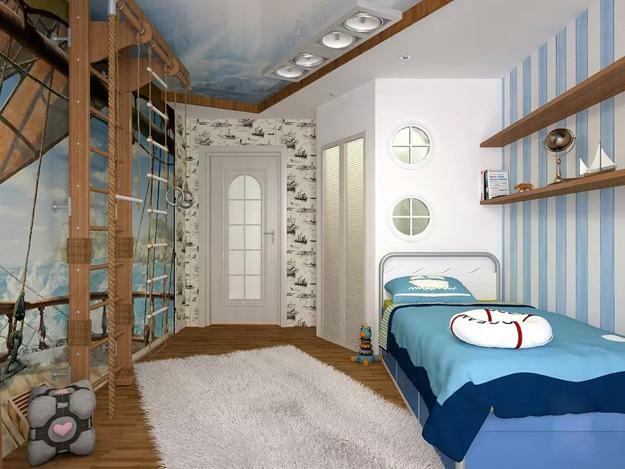 No need to spend a lot of money. 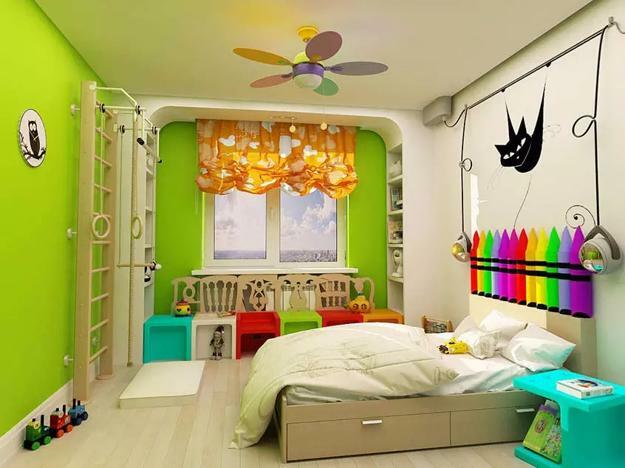 Many ideas can inspire inexpensive DIY projects. 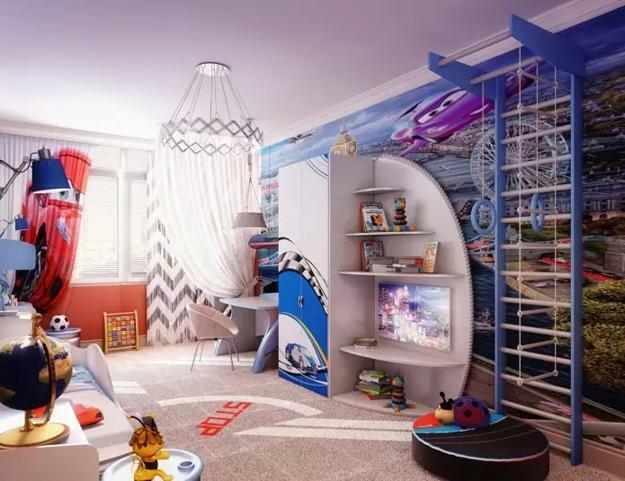 Creativity and enthusiasm help design beautiful kids rooms using sports themes. Encouraging children to play makes them stay active after they come home from school. 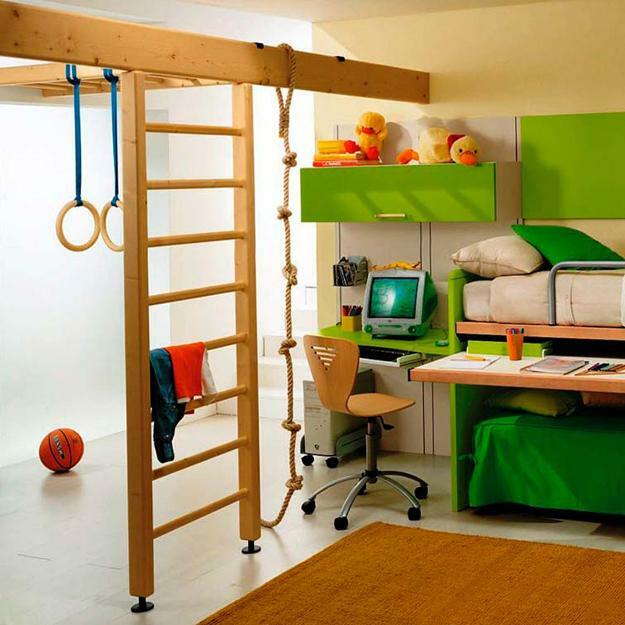 Today even youngsters prefer a quiet environment of a computer desk. 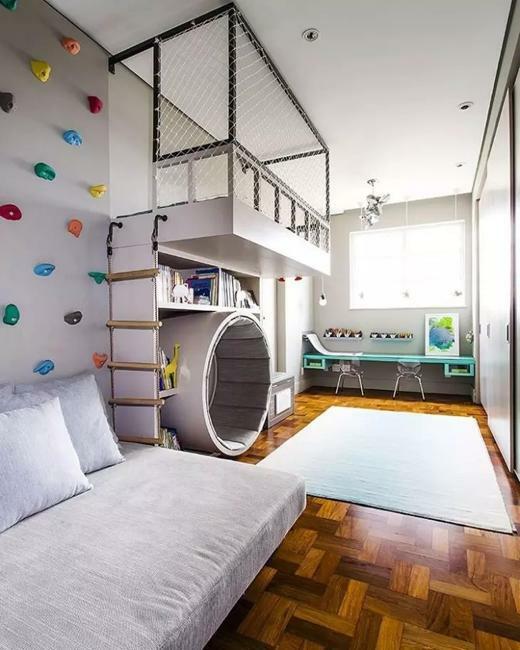 You can make your children go outside and play if you have a trampoline, hockey net or basketball hoop in your backyard. 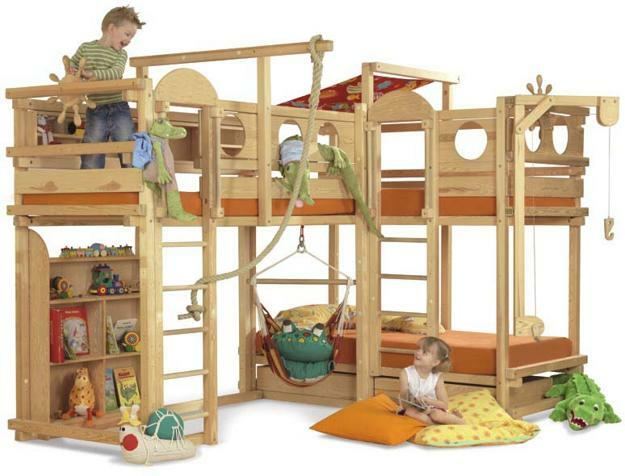 You can build a playground in your yard also. 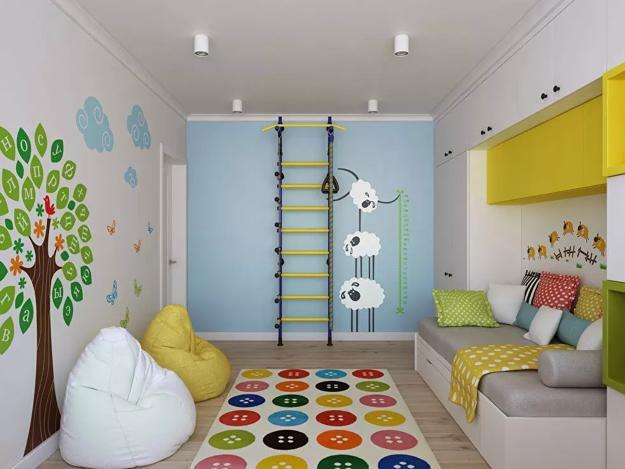 For all kids who live in small apartments, a home gym is a solution that encourages everyone to move.